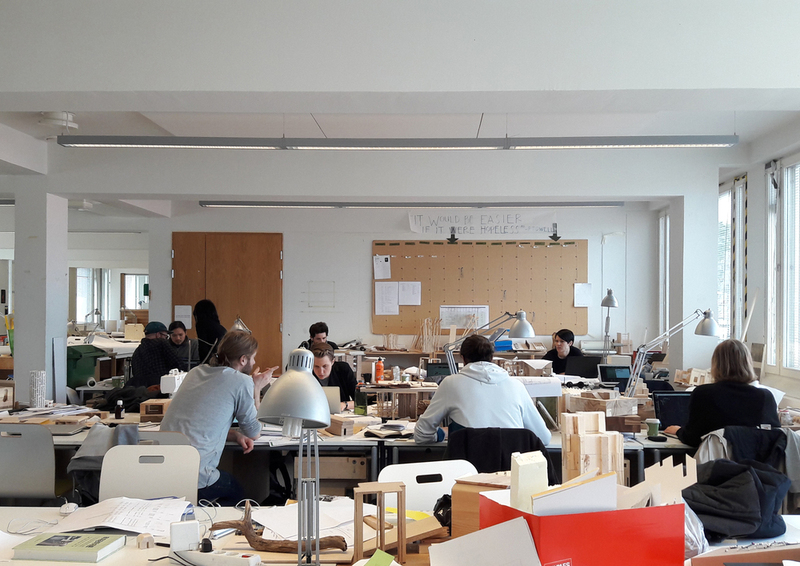 There are still countless hours put in to drawing, developing, analysing and organising the project and the construction of it while a portion of the studio of 18 has started the building process! Solving structural issues through discussions with engineers, drawings and models, finalising details for material orders and the design of exterior components and logistics is still keeping the majority of the studio busy, but soon most of us will get our hands on to the construction and the building process with escalate! Roof structures and plumbing for the floors is under progress down in the workshop this week, and with more material being delivered in the next days the work on the other elements of the structure can start.